A dual citizen of Libya and the U.S. has marched an army to the Libyan capital of Tripoli, but don’t expect U.S. forces to stop him. On Tuesday, the U.N. postponed a three-day peace conference scheduled to begin April 14 due to the military operation. The talks were intended to discuss a way to end Libya’s eight-year civil war through a framework of elections. What’s the U.S. doing in Libya? 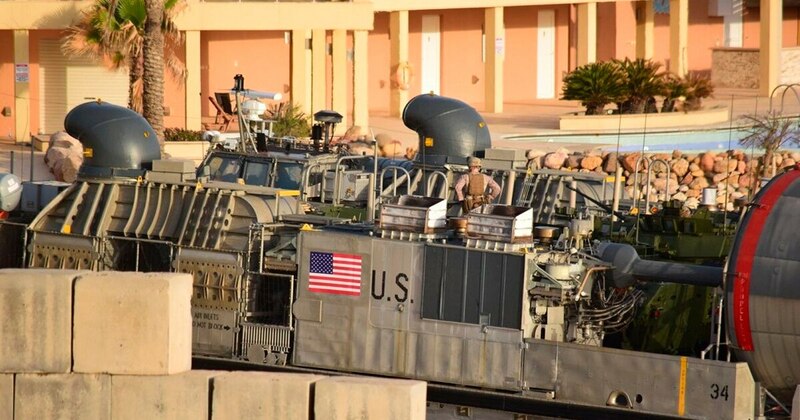 A small contingent of U.S. troops has been in Libya to help local forces combat Islamic State and al-Qaida-aligned militants, as well as to protect diplomatic facilities. Some of those troops were temporarily pulled from Libya, AFRICOM announced Sunday. “I will tell you there are no longer U.S. forces in Tripoli,” he added. “Those forces were primarily dedicated to supporting U.S. diplomatic missions into Libya." Libya’s eight-year civil war jumped back into the news last week, when Field Marshal Khalifa Hifter’s self-styled Libyan National Army launched an offensive against Tripoli. 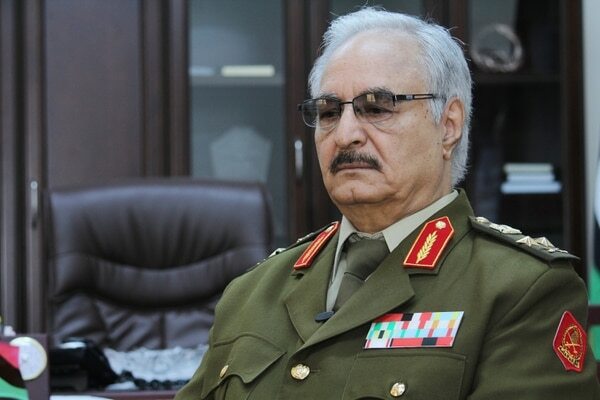 Hifter was an exiled general during dictator Moammar Gadhafi’s rule, but he returned during the 2011 uprising. He also gained U.S. citizenship while living in Virginia in the 1990s. Tripoli is controlled by militias that support the country’s U.N.-recognized Government of National Accord, or GNA. Hifter, meanwhile, represents an opposition in the eastern part of the country. Gen. Thomas D. Waldhauser, the AFRICOM commander, said in February that the U.S. has maintained lines of communications with Hifter throughout the conflict. “We’ve known all along that the solution in Libya — political solution — is going to involve Hifter in some fashion,” Waldhauser said. He added that the Russians have tried to revive Gadhafi-era weapons sales and oil contracts in the country through Hifter. “Like others, when the music stops, they want to be able to influence whoever, you know, finds the seat, whoever wins,” Waldhauser said. Libya has been embroiled in violence since Gadhafi was overthrown and killed in 2011, with the help of NATO airstrikes. AFRICOM has maintained a small footprint in Libya since then. One reason for a continued U.S. foothold is ISIS’ Libya offshoot. The militant group maintains a low-level presence in the country even after being expelled from Sirte, a coastal city between Tripoli and Benghazi, in 2016. “If they attempt to reconstitute, it is important for violent extremist organizations to note, a U.S. counter-terrorism capability still exists, if required,” Karns said. Since 2014, the U.S. has conducted airstrikes and raids in Libya. Most strikes occurred during Operation Odyssey Lightning, the air campaign that helped Libyan government forces recapture Sirte from ISIS occupation. Almost 500 airstrikes were launched during that campaign in 2016. Airstrikes dwindled considerably, and during 2018, only three were launched, according to the Foundation for Defense of Democracies’ Long War Journal. What’s this Hifter character all about? Hifter returned to Libya in 2011 and consolidated his control in the eastern part of the country. While his latest move may appear reckless, it looks like Hifter’s assault is more about “media optics and projecting power” than it is about waging a bloody war for Tripoli, Jason Pack, a Libya analyst who has advised the State Department and Pentagon, said in a piece for Al-Monitor. The assault was likely part of Hifter’s bid to increase his negotiating position heading into the peace talks this month, Pack said, noting that it’s unlikely Hifter’s forces could hold Tripoli even if they took it. “Therefore, the assault on Tripoli is a form of kabuki theater,” Pack wrote. 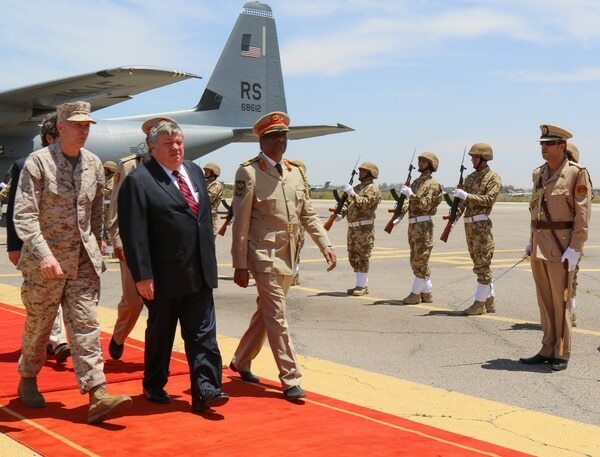 Waldhauser said in February that AFRICOM is aware that Russia has been giving help to Hifter, including military support. “Publicly, the Russians support the GNA and the U.N. process, but privately … I would say, they’ve given support to Hifter and continue to do so today,” Waldhauser said at the time. Kremlin officials have denied accusations that they are backing Hifter, according to the Associated Press. Similarly, the U.S. has taken a firm stance against Hifter’s moves. For now, it appears as if the international community is rallying against Hifter’s forces.